For groups of 20 + guests the discount is 20 %. 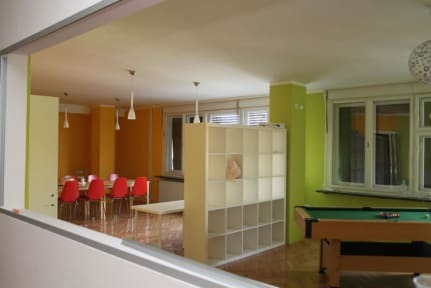 Zagreb Soul Hostel is a brand new, modern and comfortable Hostel. Located in one of the most beautiful part of Zagreb, at exactly half way between the famous Zagreb's Maksimir Park and the main square. Well connected with city transport, and close to several good restaurants and pizzerias. Every room is equipped with lockable safety boxes. Our big bathrooms have enough showers and hot water for all our guests. Since the hostel is located in a nice and quiet area, a good night's sleep is guaranteed. Check in from 11:30 to 24:00. Prefered payment upon arrival is by cash.Card on request. Fresh clean towels also included. The hostel is located at the 3rd floor of a big building, the atmosphere is cold and not enjoyable. 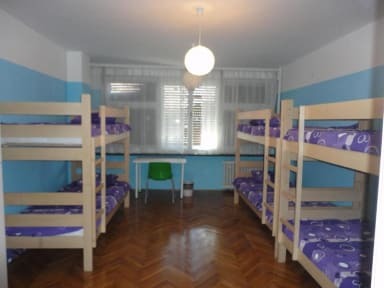 One of the problem is that there aren't enough wall sockets for everybody: in a dorm of 6 beds there are only 3 of them. People smoke right in front of the door to enter the hostel and there is always a bad smell of cigarette. In the toilet there are many showers, but nothing to hang up the towel and the clothes. The kitchen is really old and not that clean. Positive note: the price is convenient.